The antivirus industry of today devotes much effort to preventing virus infections. Various proactive technologies are developed and tested, new threat response times decrease, and detection rates increase. At the same time, the rate at which new kinds of and modifications to malicious programs appear is also rapidly increasing. As a result, no antivirus vendor can guarantee 100% protection to users. Malware infections are still quite common, and very few Internet users have not dealt with a virus at least once. 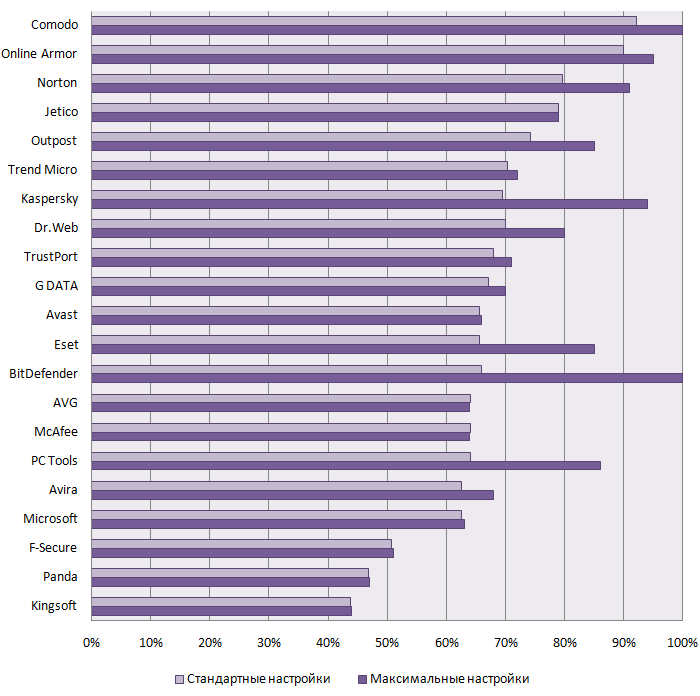 Antivirus products from 14 vendors were tested, including Avast!, AVG, AVZ, Avira, BitDefender, Eset, F-Secure, McAfee, Panda Software, Sophos, Symantec, Trend Micro, VirusBlokAda, Dr. Web, and Kaspersky Lab. Testing of the ability of antivirus products to treat active infections was conducted strictly in accordance with the methodology. As you can see from Tables 1-3, the most complicated for treatment malware samples ware Virus.Win32.Gpcode.af, Rootkit.Win32.Agent.ea, SpamTool.Win32.Agent.u, Email-Worm.Win32.Scano.ac and Trojan-Downloader.Win32.Agent.brk. Only six of 15 tested products demonstrated acceptable results in the treatment of active infection, i.e. they successfully cured the infected system. The most effective antivirus in the treatment of active infection is Dr.Web Anti-Virus 4.44, which won Gold Malware Treatment Award. Kaspersky Anti-Virus 7.0 and Norton AntiVirus 2007 also showed decent result (71%) and was awarded with Silver Malware Treatment Award. The other three antivirus products: Panda Antivirus 2008, Avast! Professional Edition 4.7 и AVG Anti-Virus 7.5, demonstrated mediocre results (от 59 до 47%). These figures meet the requirements for Bronze Malware Treatment Award.